Wales’ Third Sector – Too Important To Take For Granted! Volunteering plays a significant part in the lives of individuals and communities. 77% of adults in Wales give their time to help friends or neighbours or help with activities within an organisation. If we had to fund the contribution that volunteers make to public services and to the social fabric of Wales, it would cost the tax payer at least an extra £53 million per year. For a fun, informative, interactive day looking at charity accounts, governance workshops, PAVO’s new Trustee Project, BIG Lottery presentation, and much more besides……..
We are delighted to let you know that the new Open4Community funding portal is now live, and available exclusively to PAVO members. PAVO members will receive an e-mail with information about how to log onto the portal. The Commonwealth War Graves Commission (CWGC) are calling on community groups and schools across Wales and the UK to mark the Centenary of the Somme with the Living Memory project. The project remembers the forgotten front - the 300,000 war graves or commemorations right here in the UK, with most people are no more than three miles from their nearest site. Throughout Wales there are over 7,700 Commonwealth War Graves Commission graves in more than a thousand locations. These can range from the largest site at Cardiff Cathays with over 600 graves to isolated headstones in small rural churchyards. Each site and grave is an individual story waiting to be explored and remembered. Throughout the 141 days of the battle of the Somme 1st July to 18th November 2016, communities can Discover Explore and Remember their local war graves through the project. Living Memory offers resources to help community groups identify a CWGC site near them, find out more those buried there and stage a commemorative event – in their own way and reflecting their own interests – to mark the 141 days of the Somme. Funding is also available to support groups and schools to take part. For more information visit www.cwgclivingmemory.org or email livingmemory@cwgc.org to request your free resource pack and funding information. www.facebook.com/CWGCLiving-Memory @CWGC #LivingMemory The project is funded by the Department of Culture Media and Sport and Commonwealth War Graves Commission with development funding from Department for Communities and Local Government. WCVA’s third sector European team (3-SET) is looking for third sector organisations to provide their views around the types of information and support they would like to receive when looking at accessing European funding. Any organisation can get involved regardless of their level of previous experience in working with European funding. If you would like to have your say please complete this survey by 29 July 2016. Don’t forget to provide an email address if you would like to be added to the 3-SET mailing list to keep up to date with updates on EU funding opportunities, training, events and information of general interest. In response to Britain’s decision to leave the European Union, WCVA will be hosting a free webinar to examine the implications for the voluntary sector in Wales. The webinar will take place on Wednesday 20th July, 2pm-3pm. The webinar will be hosted by WCVA’s Director of Operations, Innovation and Business Development, Phil Fiander and Third Sector European Team Officer, Jessica Williams. To take part, please complete the attached booking form and return to training@wcva.org.uk by Monday 18th July. Your booking confirmation will give clear guidance on how to access the session. WCVA will soon be publishing a list of Referendum FAQs and resources, please check our website regularly for updates. If you are unable to take part the webinar will be uploaded to WCVA’s website within the following days. To access the webinar you will require Flash Player (which you should have as standard on your pc/laptop) and some headphones or speakers. The session will be delivered using Adobe Connect Pro and will be hosted online, just click on the link that will be sent on 19 July 2016. We suggest you test your connection prior to the session to ensure there are no issues on the day. Each round will focus on a different theme. The theme of this funding round is Caring for Carers, and is now open to not-for-profit organisations. This includes social enterprises and Community Interest Companies based and operating within the UK. Partnership bids are accepted as long as there is one clearly identified lead organisation that will take a central co-ordinating role to ensure the project is delivered as outlined. Any application from a local or regional charity that is affiliated to a wider network, federation or organisation will only be accepted if the application is submitted through the national office. The Bupa UK Foundation is looking to fund practical projects that will help unpaid adult carers to support, manage and improve their own health on a day to day basis. o Small grants up to £15,000 for organisations to deliver clearly defined projects that will have a direct impact on the health of unpaid carers. These grants will be awarded to a wide range of projects and communities across the UK. o Medium grants of between £15,000 and £50,000 for projects which might include pilots of new models of care or initiatives designed to benefit clearly defined groups. o Larger grants exceeding £50,000 for projects that have a broad reach and the potential to deliver a sustained impact. One or two grants of this size will be awarded. o Engage and support unpaid carers directly. o The increasing number of elderly people who are caring for other elderly people. o Be delivered within one to two years. There is a two-stage application process. The first stage is to submit an online first stage application form, which can be found on the Bupa UK Foundation website via an Eligibility Checker. Stage two requires a more detailed application which will be available to groups that are successful at stage one. The deadline for first stage applications is midnight on Friday 12 August 2016. For further details, visit the Bupa UK Foundation website. Big Lottery are offering grants of between £250 and £2,000 for groups to hold one off events or activities which celebrate their local community. What would will you celebrate in your local area? o 16-24 year olds not in employment, education or training (NEETs)”. Typically, micro-grants up to £1,000 for small or growing organisations are available. The Foundation aims to work in partnership with the organisations it supports, setting mutually agreed goals with clear timescales. Applications may be made at any time via the Foundation’s website. The application process is deliberately light-touch and accessible. However, potential applicants should bear in mind that the Foundation has made relatively few awards to date. The Fund for Wales is a unique national community endowment fund which supports small inspiring charities and community groups across the country. To apply and read more about the Fund's criteria, please visit the website by clicking here. The Jerwood Charitable Foundation works with individual professional artists and organisations across all art forms, offering project and programme funding. The majority of the Foundation's partnerships and initiatives are proactively sought and developed. However, unsolicited proposals are accepted, although projects put forward in this way tend to be occasionally funded. The Foundation seeks specific, targeted, tangible professional development opportunities in the work that it takes on. Organisations do not need to be registered charities providing the project has charitable aims. The Foundation aims to monitor chosen projects closely and sympathetically, and is keen to seek visible recognition of support. o Small Grants - for one-off projects, generally under £10,000. *PLEASE NOTE: The Foundation's has limited capacity to help with activities taking place in 2016. Applicants should therefore be looking for support during 2017 and beyond. o Large Grants - these partnerships tend to be developed proactively or through ongoing conversation with potential applicants, responding to key needs and issues within arts sectors. This fund allows the Foundation to develop strategic approaches to supporting artists through nurturing or professional development programmes founded and run by established arts organisations. Support is also available for the following: (a) Research and development initiatives supporting experimentation or to generate new work or new collaborations; (b) investigation into sectoral or policy provision; and (c) commissioning initiatives. o Small Grants - this fund allows the Foundation to explore new relationships, work directly with individual artists, take risks and support research or development of future ideas. At the heart of every small grant is a targeted or particular professional or sectoral development opportunity to be explored. o Small Grants: £90,492 (2014: £136,172). o The purchase of musical instruments. Informal education or community participation projects. o Medical or mental health projects. Applications may be aubmitted at any time. As the Foundation has very limited remaining capacity for 2016, applicants should be contacting the Foundation about the possibility of making an application in 2017 or beyond. Applicants are therefore advised to contact the Foundation in the first instance to discuss their proposal. Further information is available on the Jerwood Foundation website. The WHSmith Trust is an independent registered charity that aims (a) to support good causes in the local communities where WHSmith has stores, and (b) to promote literacy and a love of reading. There are 96 WHSmith stores in the South West alone, covering the vast majority of towns with a population of over 10,000. To find out if there’s a WHSmith store near you, visit the company's Store Finder. The WHSmith Community Grants scheme is another example of how the 5p plastic carrier bag levy is benefiting local communities up and down the country. The scheme offers grants of up to £500 to voluntary organisations and schools from the proceeds of the compulsory carrier bag levies across the UK. Grants are awarded every six months to charities, schools and community groups of any size, provided they support UK communities. o Schools and pre-school playgroups. o 1st October to 31st March. At the end of each six month period grant applications are reviewed and grants issued. If a grant application is successful, a cheque made payable to the nominated charity or school will be sent to the applicant at their given postal address. Cheques will be dispatched within a month of the end of each application round. Any funds left unallocated at the end of each six month application round will be donated to UK charities as part of theWHSmith Trust’s wider grant making activity. The application form, which is very short, can be completed on theWHSmith Community Grants webpage. The Christmas Challenge, founded by entrepreneur and philanthropist Sir Alec Reed CBE, is the UK’s biggest online match funding campaign which helps UK-registered charities raise funds for their cause. Since the Big Give launched the campaign in 2008, the Christmas Challenge has raised over £71 million for more than 2,500 charity projects. In light of recent events, we have decided to extend the application deadline to midnight Sunday 10 July to give people more time to apply. and which have the chance of changing national policy and practice, once their effectiveness has been demonstrated over a period of time. o Have the potential to be of influence on a national scale. The Foundation encourages and supports innovative ventures designed to enable people to function effectively and to thrive. It looks for better ways of developing individuals' capabilities, their capacity and desire to make things happen — their zest and appetite to learn, to create, to change things for the better, for themselves and others. o Improving practical, technical, vocational capability – especially that which relates to designing and making, to innovation and to manufacturing. During the financial year ending 5 April 2015 the Foundation awarded grants totalling £452,361 (2014: £568,710). 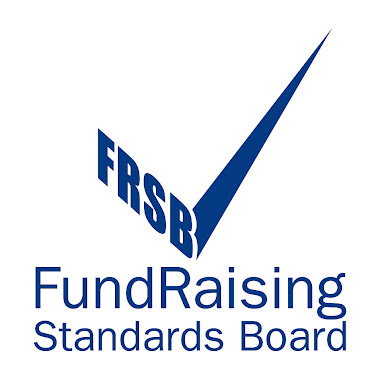 The Foundation does not advertise a minimum or maximum award level. Successful applicants have often adopted the Foundation’sGRASP (Getting Results and Solving Problems) methodology. o Review the process at each stage. o Research or activities outside the UK. Outline funding applications should be submitted to the Foundation's Administrator, Anthony Derbyshire. who will advise on whether it is likely to be worthwhile making a full application. Guidelines for compiling a grant application letter are available on the Foundation's website.